Maximize how you use your mobile phone that’s packed with a longer-lasting battery life. As an entrepreneur, you need a mobile phone that can do more than just make calls. Your phone needs to serve as a lifeline and a mini computer that can help you oversee your business—anytime and anywhere. Fortunately, the latest smartphones are packed with impressive features, and perhaps the most important among these is a reliable battery life that allows you to do and achieve more. Here’s how you can make the most of that long-lasting power. A test done by Tom’s Guide reveals that an average phone lasts for only nine hours and 48 minutes. What good is a smartphone if its usage is only as good as its short battery life? But if your device is capable of fast wireless charging (minus the overheating), plugging it in will no longer be a tedious task. And with a power saving mode that automatically puts to sleep apps that are not in use, you will no longer have to worry about running out of juice. Want to level up your “charging” game? Pick a phone that also acts as a charger (yes, a charger!) for when you need to power up other compatible devices you have. Capture the attention of your audience with beautiful photos and engaging videos posted in your social media channels. 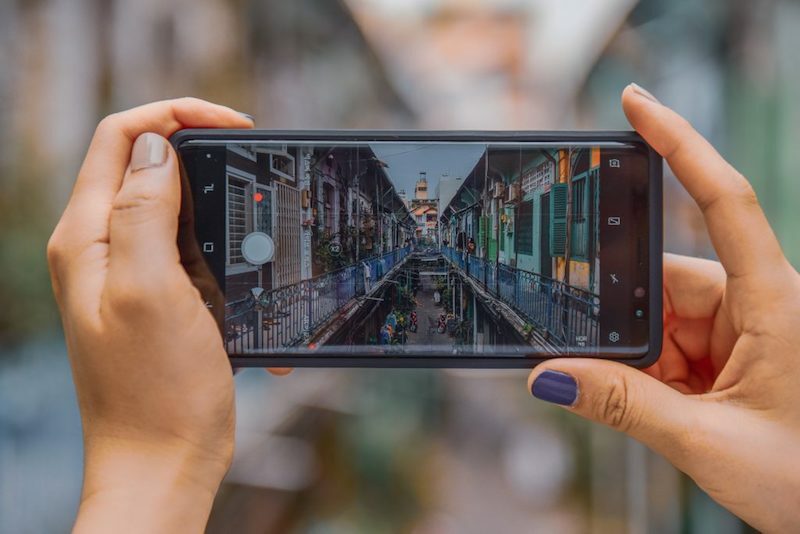 You don’t need a DSLR camera to get this done; a smartphone with a triple-camera setup is more than enough to help you take crisp photos and videos for promotional content that clicks. The wide-angle and ultra-wide-angle cameras are perfect for stunning landscape shots, while the telephoto camera is for those eye-catching portrait shots and more detailed images. Customer loyalty is an important factor in a thriving business, that’s why you have to stay connected with your customers all the time. Respond to inquiries, appreciate feedback, and have an open communication line wherever you are. The same applies when your employees or partners can count on you to address their concerns when they urgently need your help. This means you need a powerful device that provides reliable, secure, and fast Internet connection that doesn’t falter when you need to reply to queries or post an update. A phone that automatically switches to LTE is a keeper as it gives you access to incredible data speeds—perfect for sending and receiving important files on the go. Maximize your mobile device as your personal assistant to help you manage your day-to-day tasks. A phone that intelligently adapts to your habits will make things easier for your busy lifestyle—frequently used apps and tasks based on the time or location you often use them are readily accessible; you no longer have to scroll through the many programs and settings just to put your phone in silent mode when in a meeting, for example. Recent studies show that more and more people rely on their mobile devices for productivity, like tracking expenses, preparing documents, and even reviewing client presentations. If you’re going to do all these tasks on a handheld device, don’t settle for a small screen that requires you to squint just to be able to see what you’re working on. Pick a mobile phone that has an impressive display with no distractions (no notches or bezels); just a seamless, huge screen that really allows you to better see and appreciate what you’re viewing. For more business tips, log on to Globe myBusiness Academy.